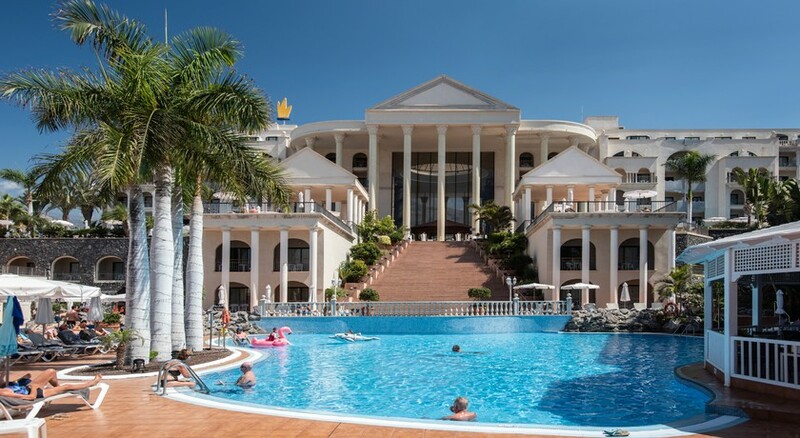 The Bahia Princess is a magnificent 4-Star hotel situated in the heart of the Costa Adeje Resort in Tenerife. 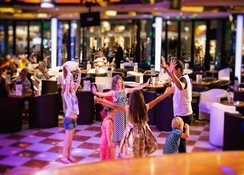 The Hotel Bahia Princess in Tenerife can be an ideal choice for families, friends and couples seeking to enjoy a relaxing, entertaining and exciting vacation. There are plenty of leisure activities to indulge in that include table tennis, pool table, TV lounge and reading lounge. The Hotel Bahia Princess is only 250 meters from the Playa de Fañabé, which a popular area on the south-western coastline of Tenerife. The hotel’s location provides a stunning view to the visitors, as it is close to the beautiful sandy beaches of Fanabe and Torviscas. The hotel is also very near to the famous Caldera del Rey, which provides an eye catching view of natural volcanic sites of Tenerife. It takes only 15 minutes to reach Tenerife South Airport by car, making it easy to board flights from Tenerife South on time. The hotel provides plenty of swimming area with its three large pools plus one children’s pool. The Bahia Princess is situated on a slope in the middle of the Costa Adeje Resort and is 200 metres from the Costa Adeje beach. There are shopping centres, bars and restaurants within 100 metres from the hotel. Many flights to Tenerife land at the Tenerife South Airport, which is about 28 km from the hotel. The Gran Sur Shopping Centre is at a walk of 15 minutes from the hotel. The Bahia Princess has 275 air-conditioned rooms featuring a private balcony or terrace with small tables and chairs. The standard rooms are located in the main and annex building, whereas the 8 suites are located in the annex building. Each room has luxurious beds for a comfortable sleep and relaxation. The bathrooms have shower, bathrobe, slippers and all other essential amenities. Other room facilities include hairdryer, minibar and satellite TV. The premium package of the hotel includes a warm welcome on entrance with flowers, a fruit basket and sparkling wine and a drink package made available in the minibar. There are some splendid restaurant facilities provided by the hotel where guests can choose from a wide range of wonderful dishes. 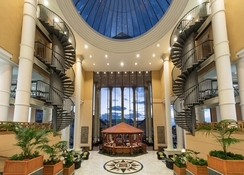 The Hotel Bahia Princess Tenerife has 2 restaurants, the main one being the Bahia Restaurant, which offers buffet breakfast and dinner. The other is an a la carte restaurant El Balcón, where delicious meals and snacks can be enjoyed. Children are well catered at the restaurants as there are plenty of children’s favourite dishes available here. There are 2 pool bars serving drinks and snacks and one lobby bar serving drinks, snacks, sandwiches and cakes. The Bahia Princess Hotel has 3 large pools along with one separate pool for children. One of the pools is heated during winters. There is a sun terrace, umbrellas and loungers around the pools. 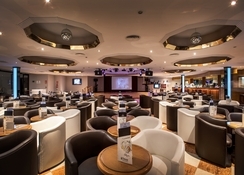 Evening entertainment programs are held, which showcase live music shows and conduct fun activities. Leisure activities include table tennis, pool table, TV lounge and reading lounge. For peace and relaxation there is a sauna, which provides comfortable massages that help in relieving stress. In addition to this, there are solariums for indoor tanning. A golf course is nearby where golf lovers can have a great time. Also, there are other different sports activities such as tennis courts, squash courts (local charges may apply). Some apartments are designed to host disabled guests.